Keynote speaker Paul Matthews is Speaker, Author and Consultant who specializes in learning transfer, performance improvement, capability and informal learning. With experience in a range of industries from travel to engineering, holding senior positions in sales, service and operations. Paul is the perfect addition to an event to help your organization to unlock the power of informal learning and learning in the workplace. Paul Matthews expertise in workplace learning takes him to conferences and corporate events across the world. He covers a wide variety of learning-based topics, but in particular informal learning, learning transfer, performance consultancy and how Learning and Development can help businesses achieve their targets. 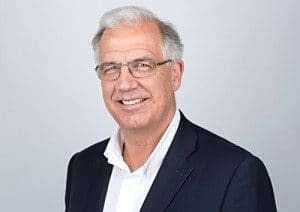 From his experience and knowledge, Paul has authored ‘Informal Learning at Work: How to Boost Performance in Tough Times’ and ‘Capability at Work: How to Solve the Performance in Tough Times’. His latest book ‘Learning Transfer at Work: How to Ensure Training >> Performance’ is proving to be another must read. He works directly with organisations such as Santander, GSK and Google as well as many public sector organisations in the UK. 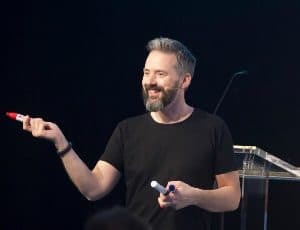 As a speaker, Paul’s key skill is in making ideas come alive with stories, ensuring audiences not only understand, but also have practical tools to implement and action change. Paul is an expert in reducing complex theory down into straight forward concepts that anyone can use to achieve better results for their business or organisation. 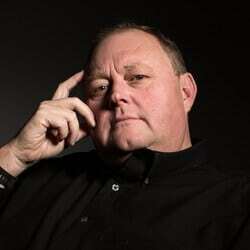 Originally from New Zealand, his practical approach typifies the Kiwi can-do attitude and focus on workable solutions. Paul’s last corporate role was as a Director for a NASDAQ quoted IT Company. 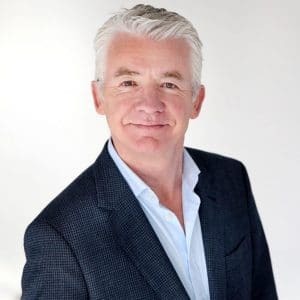 He set up his own leadership and management consultancy firm People Alchemy Ltd in 1999 in the UK, and now develops online performance support and learning platforms. For all the great work we do in the classroom, research shows that only a small amount of the information delivered gets used effectively back in the workplace. That’s a problem! In this keynote, Paul shares how to put a ‘wrapper’ around your classroom event so the event itself is more effective, and the learning is transferred back to the workplace and ‘operationalised’. This is how to make sure your training stays alive after the classroom, and generates the benefits you, and your sponsor, are looking for. Learning & Development can save money by understanding the role of performance consultancy and making sure they don’t make the common mistake of confusing it with learning consultancy. Performance consultancy acts as a filter to stop the common practice of L&D working on learning programmes that are unlikely to solve the original business problem. In this interesting keynote, speaker Paul Matthews shares how to make sure that L&D is working on (and spending money on) the right stuff, not just whatever someone asks for. To sum it up; do less, save money, and get better results! What do the people in your organisation say about L&D when you are not in the room? What they say is your brand, your reputation, and it has a huge impact on how effective you can be, and how easy it is to get budget. Paul shares a progressive approach to L&D that will change your brand into a trusted business partner as well as the relationship between your ‘brand’ and 70:20:10. We think we know how important informal learning is; that learning we get through experience, observation, collaboration and social exchanges. But do we? Most L&D professionals still don’t pay anywhere near enough attention to the huge amount of learning that happens while people are doing their jobs – in the workflow. We know about informal learning, but few organisations leverage its power. Luckily, Paul has the tools and strategies you need to implement informal learning. This keynote is perfect for executives, leaders and managers. There are three things missing from most L&D strategies. Paul calls them the elephants in the room, ignored, but potentially dangerous. They are: Performance Consultancy, Informal Learning, and Learning Transfer. In this keynote, Paul explains how they tend to act together as well as practical ways to start dealing with them. Oh, and of course he reveals the fourth sneaky elephant! The first few days and weeks of a new employee’s relationship with their employer are critical for setting things up for a happy future for both parties. There are several stages to the process and each stage needs to be handled well to engage the new employee and satisfy their needs at each stage. In this keynote, the audience will learn the secrets to great onboarding – the kind that truly makes a difference to someone! This keynote is ideal for leaders, HR and onboarding teams.